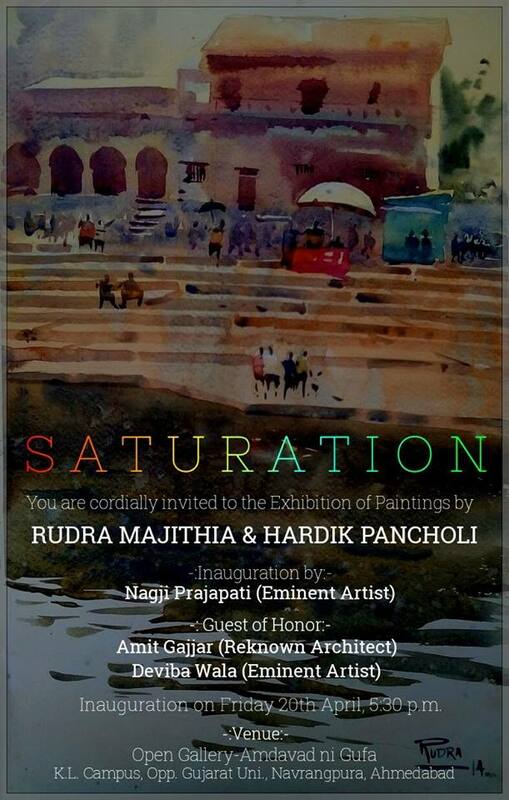 You are cordially invited to the Exhibition of Landscape Paintings by Rudra Majithia & Hardik Pancholi at Open Art Gallery- Amdavad ni Gufa. Inauguration on Friday 20th April, 5:30 pm by Eminent Artist Nagjibhai Prajapati,Artist Deviba Wala and Architect Amit Gajjar. Show will be open till Sunday from 4pm to 8pm.